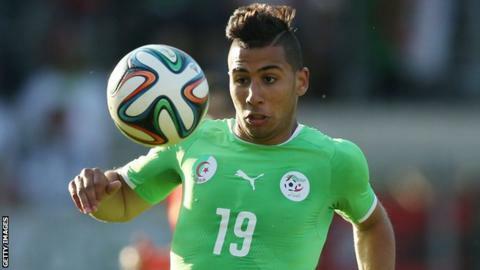 Southampton have terminated Algeria international midfielder Saphir Taider's season-long loan move from Inter Milan after less than a month. The 22-year-old, who joined in a deal which also saw striker Dani Osvaldo go to the San Siro, only played one pre-season friendly for the Saints. Inter Milan have immediately sent Taider back out on loan, this time to their fellow Serie A side Sassuolo. Osvaldo's deal will be unaffected by Saints sending Taider back. The south-coast club cut Taider's move short after he "failed to live up to the high levels of commitment expected of Southampton players". Taider's only first-team appearance came in a friendly against Bayer Leverkusen, which the German side won 1-0. Taider made 25 Serie A appearances last season before playing for his country against Belgium and Germany at the World Cup.